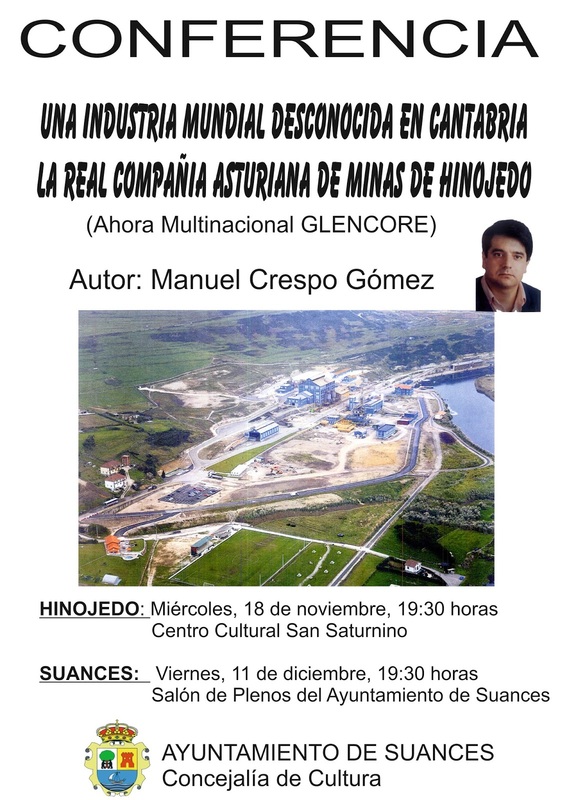 CULTURA EN SUANCES: CONFERENCIA: "UNA INDUSTRIA MUNDIAL DESCONOCIDA EN CANTABRIA. LA REAL COMPAÑÍA ASTURIANA DE MINAS DE HINOJEDO"
CONFERENCIA: "UNA INDUSTRIA MUNDIAL DESCONOCIDA EN CANTABRIA. LA REAL COMPAÑÍA ASTURIANA DE MINAS DE HINOJEDO"